MediaPortal is a free media center program that looks great when viewed on your TV from the other side of the living room. The latest version of MediaPortal (www.team-mediaportal.com) has a new theme designed for 1080p TVs and can play unencrypted Blu-ray discs. 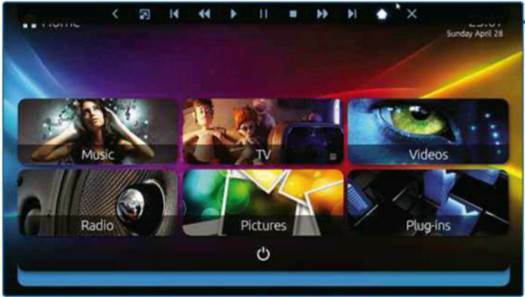 When you install MediaPortal, select the option ‘Yes - I will use Media Portal to watch TV’, and choose the one-click installation. Leave both recommended extensions selected to complete the installation. Double-click the TV Server Configuration shortcut on the Desktop. Expand the TV Servers section and then the name of your computer. MediaPortal will list all the devices it thinks it can import media from, so there might be more than one device. Click your device. Check the Country and Region settings and click ‘Scan for channels’. This may take a few minutes, but once it has finished you will see a list of all the new channels. Click the TV channels option in the left-hand column to see a list of available channels. Use the Filter text box to search for channels. Unlike Sky, which forces you to browse through all channels regardless of whether you can watch them, MediaPortal can disable channels so they won’t appear on your TV. Just untick a channel to do this. 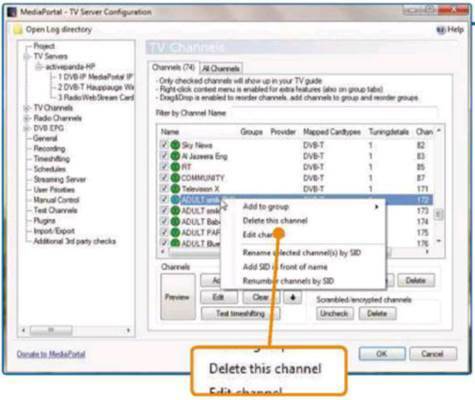 To delete a channel from the list - for instance, to remove adult stations - right-click it and tick ‘Delete this channel’. You can also adjust the order of the channels. Click a channel, click the up and down arrows in the channel section beneath. Repeat this with the Radio Channels section. Setting up the electronic program guide makes recording shows much easier. Click the DVB EPG option in the left column. Click the Test button to see how the EPG text will look. You may need to deselect the ‘Enable CRC check’ option but check Media Portal first to see if it’s working before doing so. 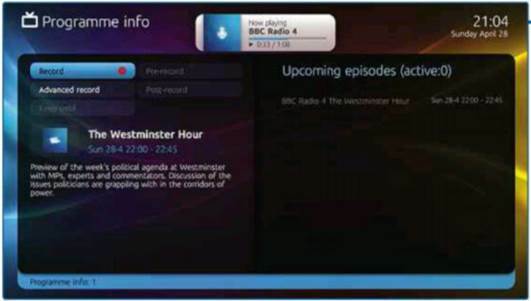 Click ‘TV EPG grabber’ and click All at the bottom to select all the channels. Repeat this for Radio. 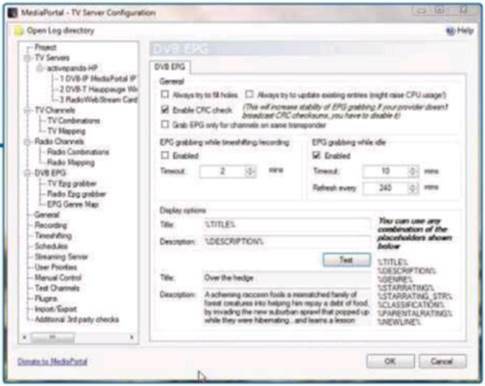 Close the TV Server Configuration window. MediaPortal needs to know where to find your pictures and music in order to play them. It automatically includes the Pictures and Music folders in your user folder, but if you have shared media on your network you’ll need to add it manually. Double-click the MediaPortal Configuration icon on your Desktop. Expand the Music option and click Music Folders. Click Add and find the folder with your music. This can include folders on your network and HomeGroup. Repeat this for the Pictures and Video folders. You can add several folders. Start MediaPortal. The home screen is divided into six areas. It’s best to navigate with the keyboard using the arrow keys. Press Enter to select an option and Backspace to go back. Sometimes extra options will be available in a menu on the left-hand side of the screen. Press left to access this menu. Moving your mouse to the top reveals a selection of shortcuts. As well as media controls (play, pause and so on), this includes a home icon to return to the home screen. Once you’re on the home screen, clicking this button again toggles between different themes. Navigate to the TV button and press Enter twice. The TV should turn on automatically. 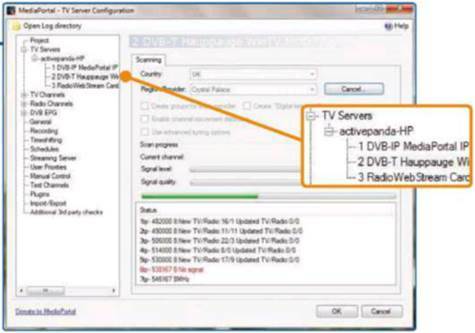 Don’t worry if program information doesn’t appear immediately - it can take a few minutes for all the information to be received from the TV tuner. The TV guide looks like an ordinary PVR interface. Use the arrow keys to move around and press Enter to see more information about a program. If it has already started, the program will play in the preview. Click this preview to go full screen. 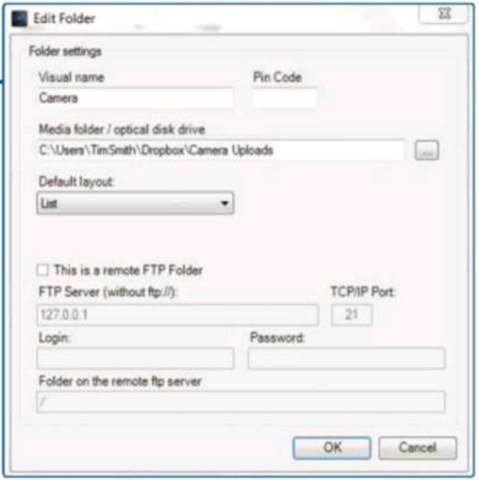 You can use this page to set your computer to record the program. 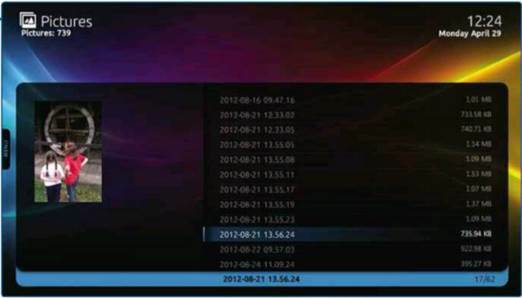 The Advanced Record menu lets you set a whole series to be recorded. Select the radio button to see a list of available stations. Press the left arrow to access the menu and select Radio Guide. The guide works like the TV. Select a show to see more information, and set it or the entire series to record. Once you have selected a record option, the ‘Keep until’ option will be activated. You can keep programs forever, until they have been played or until more space is required. The latter is a handy way to avoid running out of disk space in the middle of a recording. Pictures in folders can be played as a slideshow, which means you can have something interesting onscreen while listening to the radio or playing music. Select Pictures and choose a folder that was set up in Step 4. Once the list of pictures displays, press the left arrow, or move the mouse to the left edge of the screen to make the menu appear. Select Slideshow or R Slideshow. The R Slideshow option will include pictures in subfolders. Slideshow settings can be changed with the MediaPortal Configuration program. 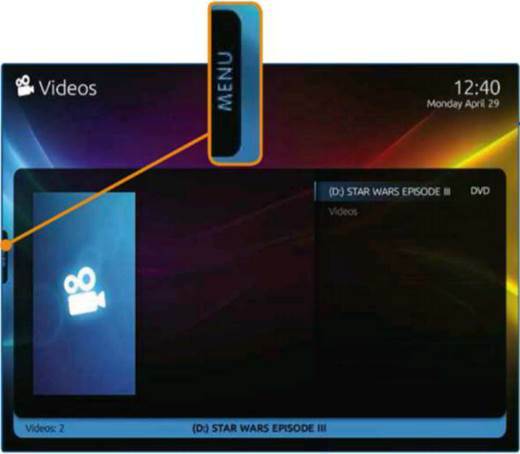 MediaPortal can play videos, DVDs and unencrypted Blu-ray discs on your PC. Select the Video option to see a list of video sources as set up in Step 4. This will also be where DVD videos are accessed. MediaPortal has its own DVD player, which is useful if you have a copy of Windows that did not come with DVD-playback software. Once the disk has loaded it will appear in the Video section. Click it to start playing. Right-click while the video is playing to see the DVD menu that can take you back to the root menu. You don’t have to limit yourself to the functions included with MediaPortal. There are hundreds of plug-ins and different themes that can be added. Start the MediaPortal Configuration program. Click Plugins on the left and then ‘Browse and install new plugins’. Click Yes and then search for OnlineVideos. Click the OnlineVideos bar, then click install. Let it close the configuration program, then follow the installation wizard. Start MediaPortal and press right several times to the next screen. Select Online Videos. 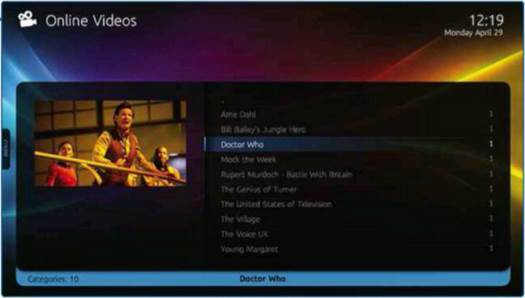 A list of video sites will appear that includes YouTube and the BBC iPlayer.